Since seeing the pediatrician last week (or was it the week before? 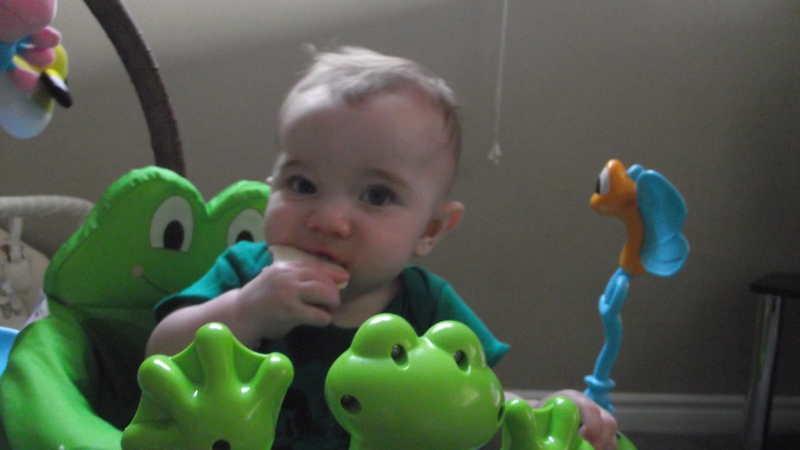 ), Aiden has had his six month shots, and has seen the neonatal follow up team at RVH. The shots didn’t faze him, and the follow up team had only good things to say. They were impressed with everything he’s learned since they last saw him (at four months), and don’t want to see him again until 12 months. The only concern they mentioned was that if he’s not crawling by the time he’s 10 months, that they want us to make an appointment with them because they want to make sure that the bleed in his brain didn’t touch/affect anything. So far, so good. He’s doing all of the “pre-crawling” things that babies do, so I think it’s just a matter of time before he figures out how to put all of the steps together and actually crawl. Right now, he gets frustrated that he can’t get to where he’s trying to go, gives up and rolls. 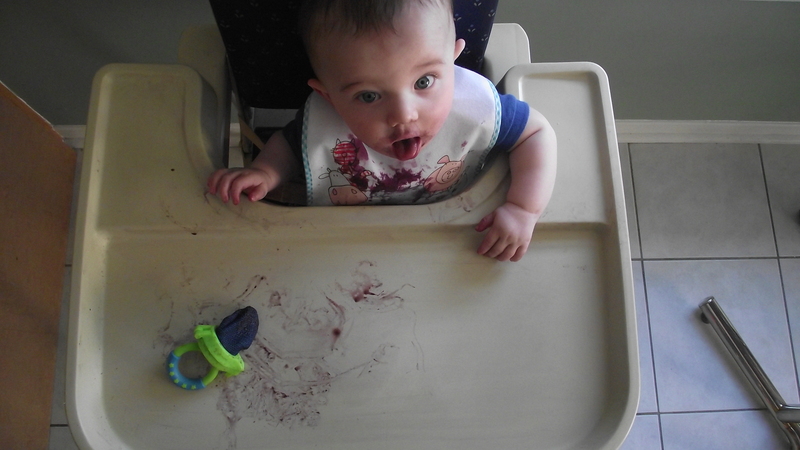 Aiden tried blackberries for the first time. I think he liked them. 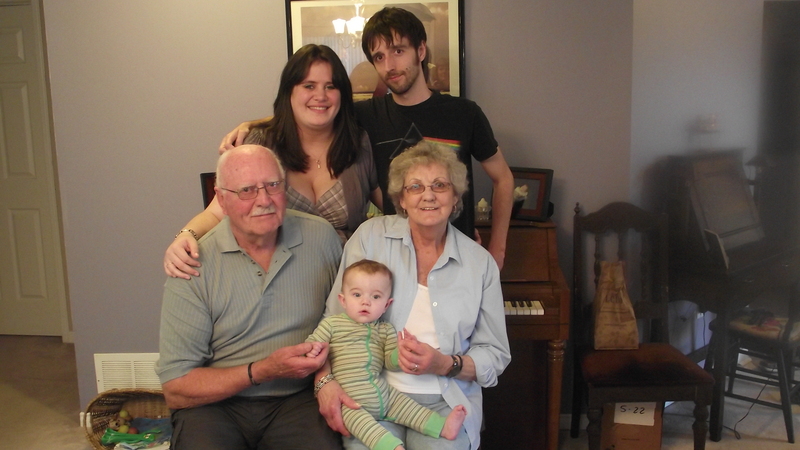 Aiden met his great-grandparents (on my side) for the first time last weekend. 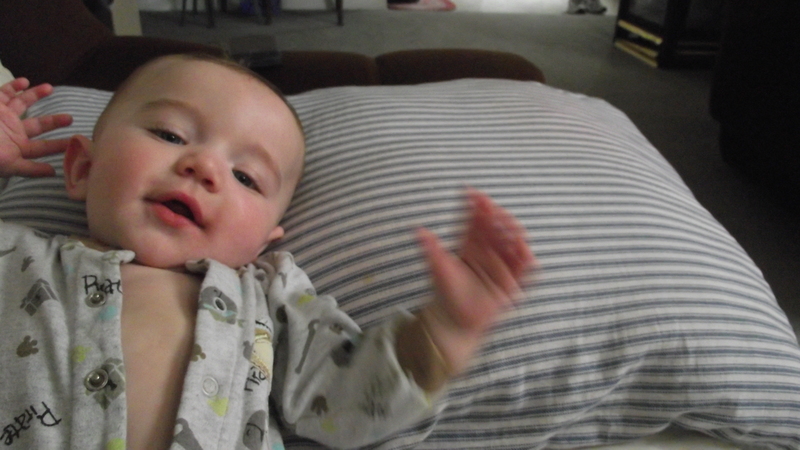 Aiden waves for the camera.